Suitable for both indoor and outdoor use, the Cottage Braid Rug Collection is made in China of 100% Polypropylene. The solid color palette achieves added interest with hints of lighter color added for contrast. These LIORA rugs are also fully reversible. As part of the Everywear™ group these rugs are UV stabilized to resist fading and mildew. 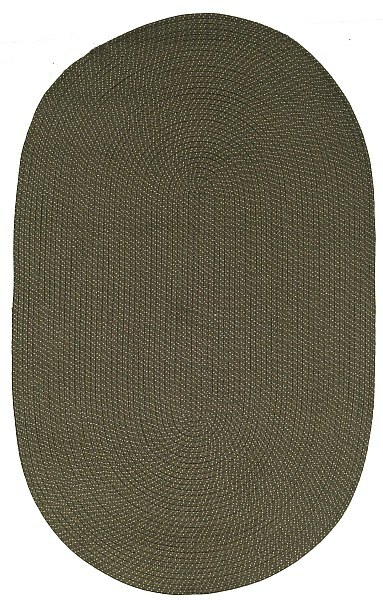 Solid Green available in: 24in x 36in, 42in x 66in, 5ft x 8ft, 8ft x 10ft, 24in x 8ft runner. Price indicated below is for 24in x 36in, please select optional sizes from the drop down list.